For the second post in our Hangover Breakfast series, what breakfast is complete without home fries? But on the morning after (or pretty much all the time if I’m honest about it), I’m going to be pretty lazy about what I actually cook on the stove top that requires constant attention. Therefore, I like my home fries oven roasted. 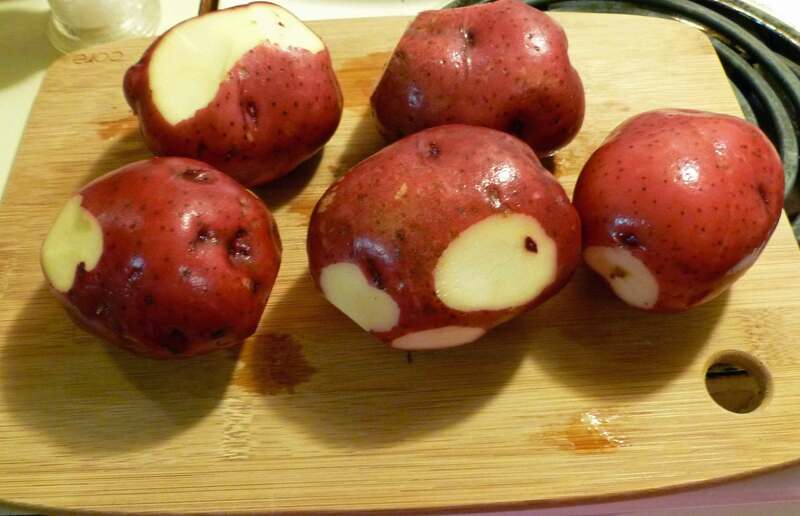 4-5 potatoes, washed and scrubbed and trimmed of any scars or bad spots, but otherwise unpeeled. Preheat oven to 475º degrees. 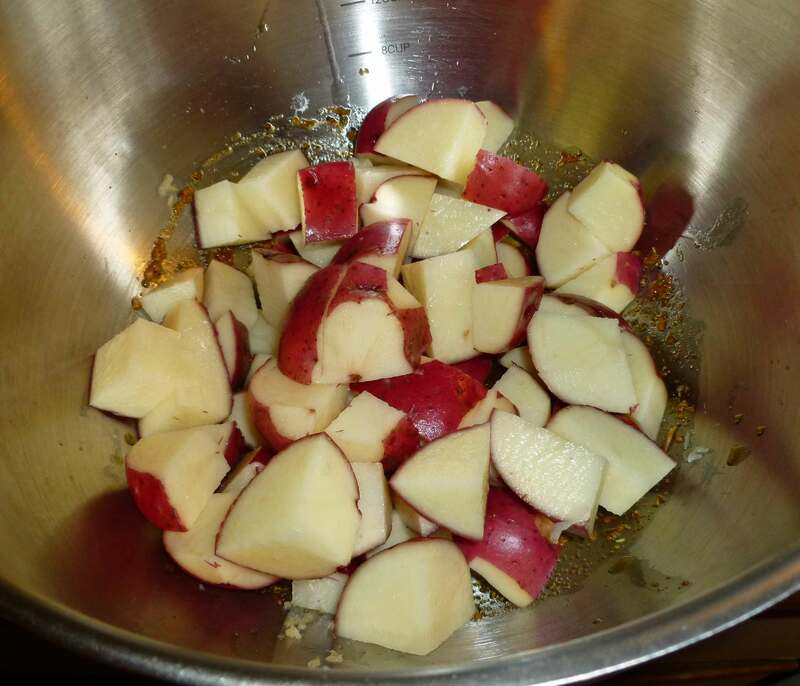 Place all the ingredients except the potatoes into a bowl. 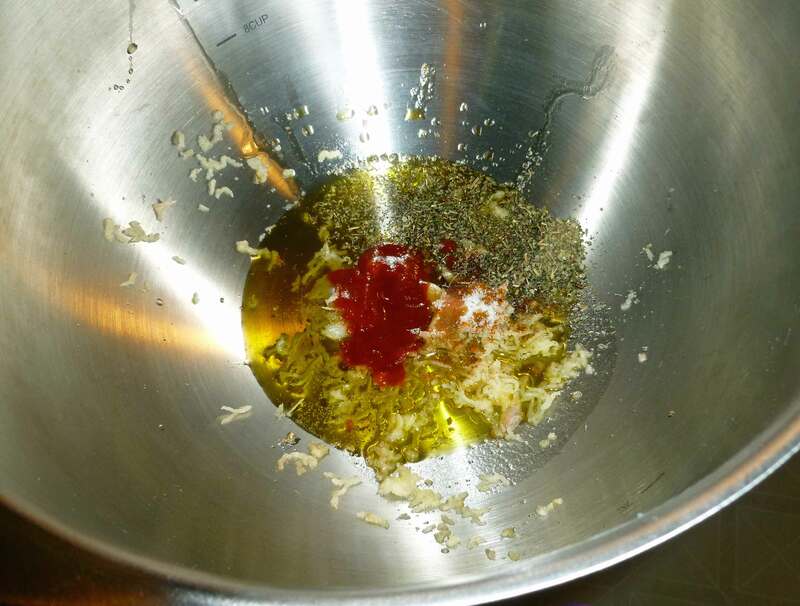 Whisk oil and spices together so they are well incorporated. Wash, scrub and trim potatoes if you haven’t already. 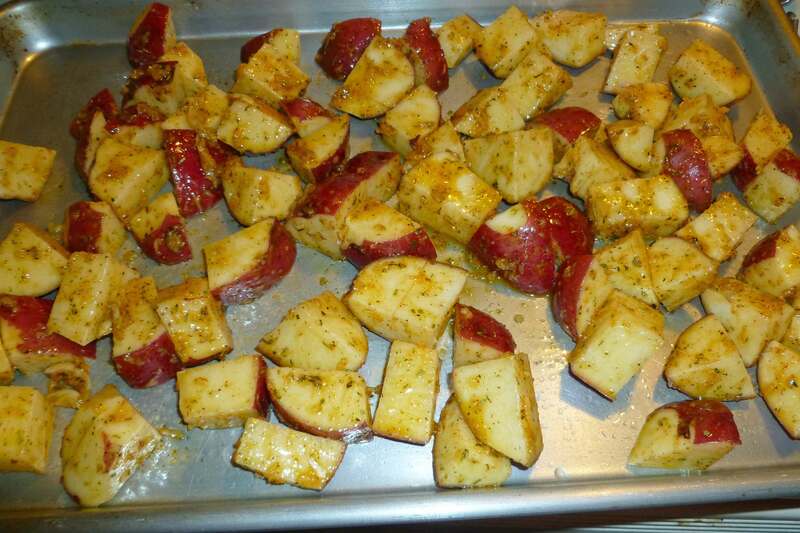 Cut potatoes into 3/4 inch pieces and place into the bowl with the olive oil and spices. 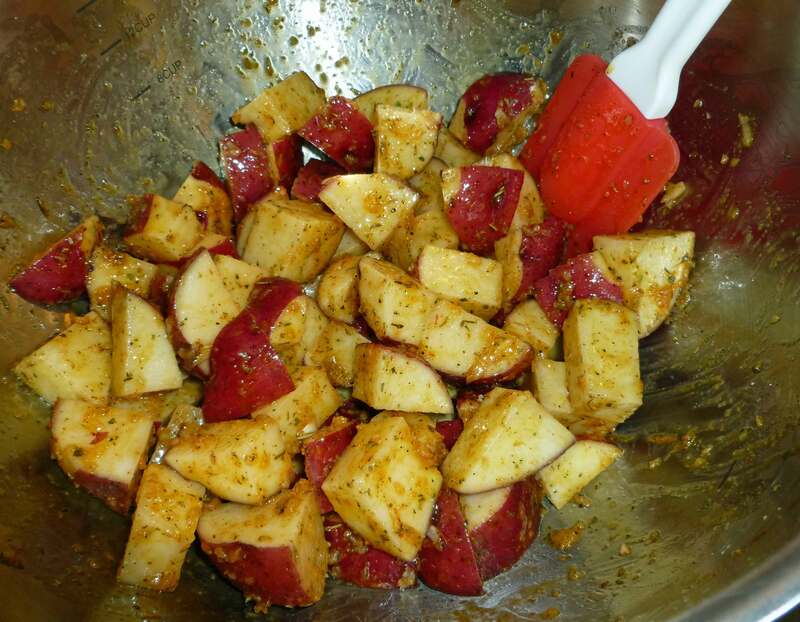 Once you have finished cutting up all the potatoes, mix the potatoes with the oil and spice mixture until they are well coated. 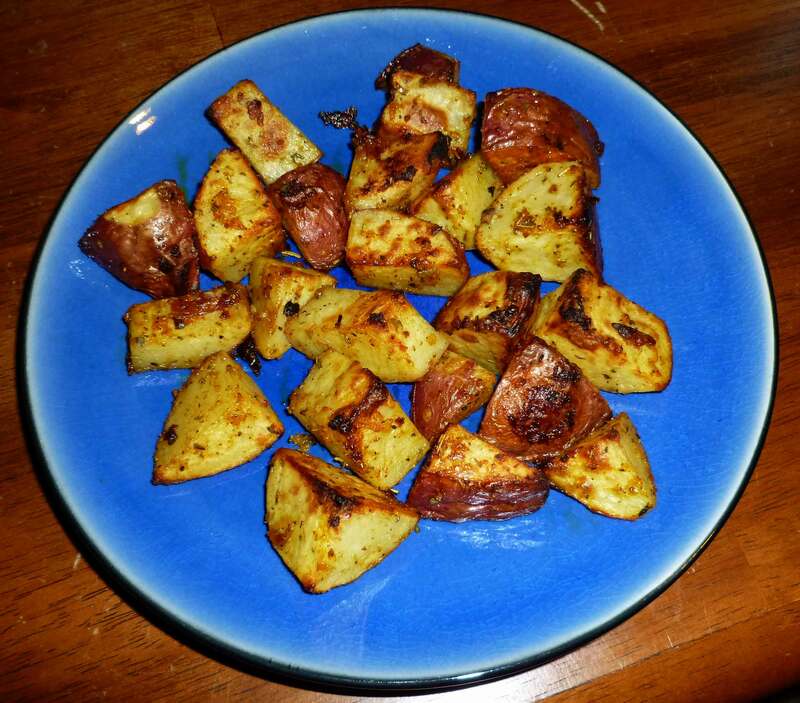 Place coated potatoes on a baking sheet in a single layer. 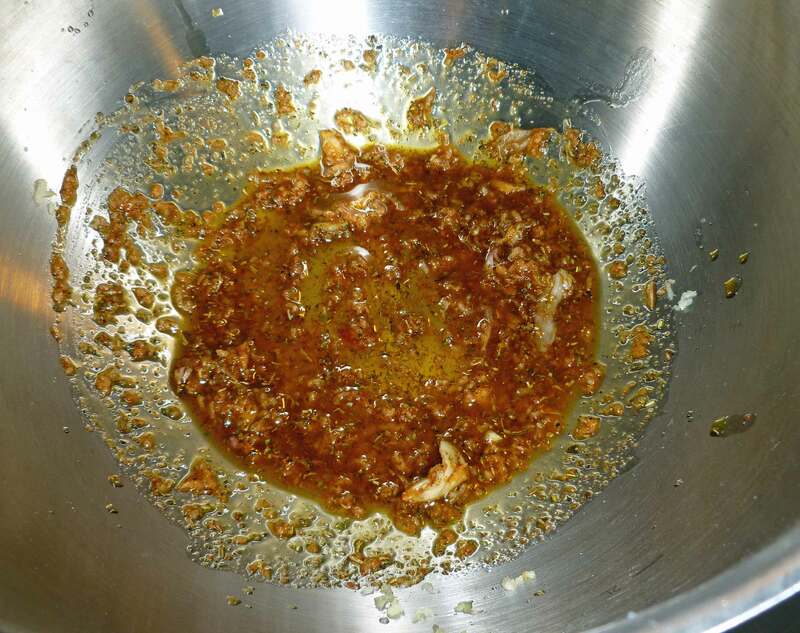 Scrape the bowl and drizzle any of the remaining spice mixture on top of the potatoes. 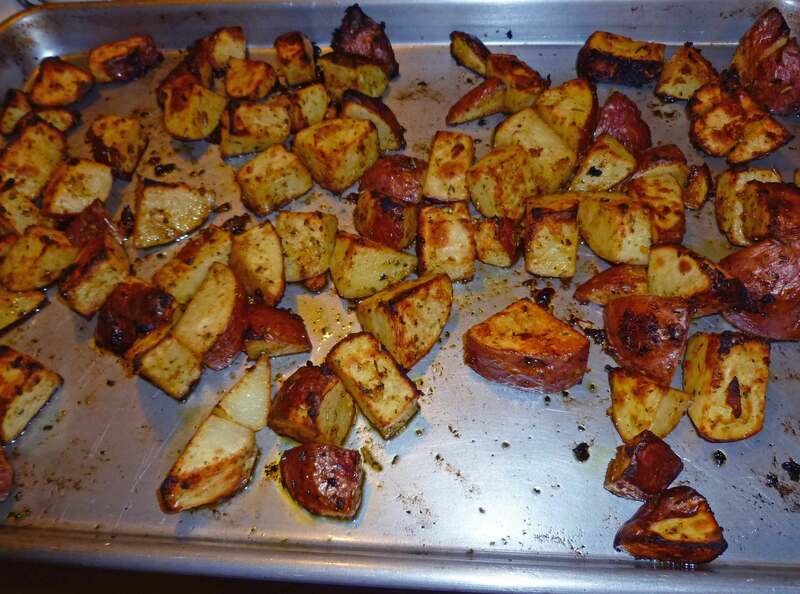 Put potatoes in preheated oven and roast for 20-30 minutes, turning occasionally to brown on all sides. Sriracha Oven Roasted Potatoes just out of the oven! Serve them with some sausage (see our Maple Glazed Homemade Breakfast Sausage Patties recipe), bacon, and some fresh fruit. Enjoy!